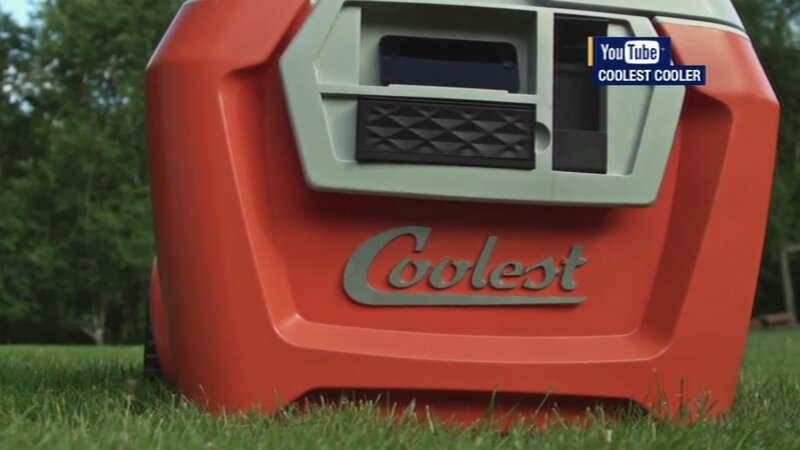 SAN FRANCISCO (KGO) -- Thousands of backers pumped money into a product called Coolest Cooler. The campaign raised $13 million, second highest in Kickstarter campaign in history. The creator now admits all that money is gone. Ryan Grepper emailed backers worldwide. They each paid $185, but never received a cooler as promised. Coolest Cooler has special features like a blue-tooth speaker, a blender and USB charger. Grepper Wednesday admitted he ran out of money, but isn't giving up. In a Google chat he promised backers will get their coolers, eventually. "When it shows up on your door you'll realize that hopefully you'll realize and agree that the wait was worth it and you'll be satisfied in the long haul because that's what we promised," Grepper said. Grepper said it cost more than expected to make the coolers, though some have already sold on Amazon. Now he's looking for a partner.